We had been anxiously watching the weather for signs of snow, and whilst plenty was falling on the East coast southern Utah was not so fortunate. Thankfully there was still a good layer of snow on most of the slopes, with only one section of the mountain closed and the occasional icy patch elsewhere. 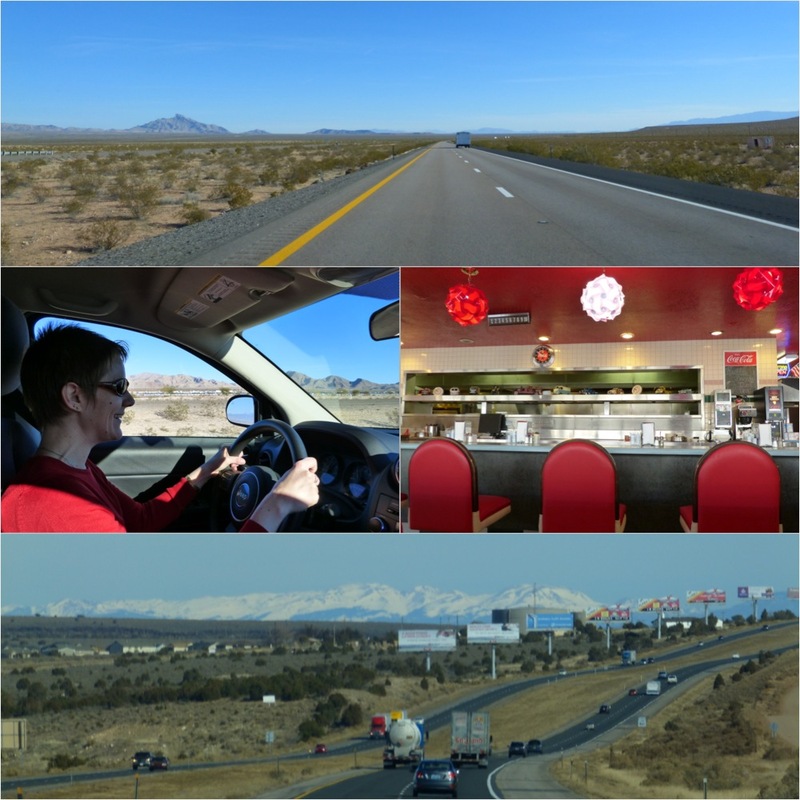 We arrived on the Thursday afternoon, somewhat later than anticipated because we hadn’t realised that Utah is one hour ahead of Nevada. Fortunately there was night skiing that evening, so as it happened we were in perfect time to settle into our hotel, get changed and organise our skis and lift passes before getting on the chairlift. 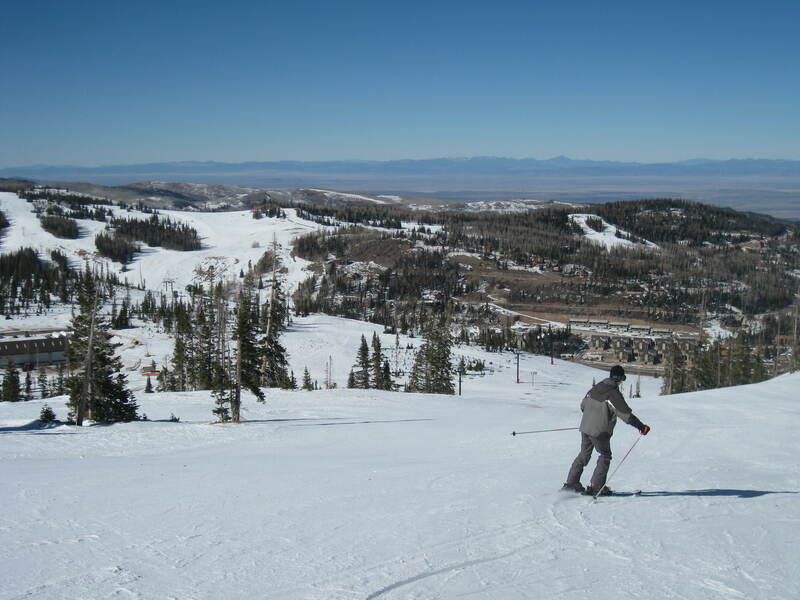 We then had full days skiing Friday and Saturday, and a very full half-day on Sunday (the first time I’ve ever been ready to ski before the lifts started running) before heading back to Vegas. 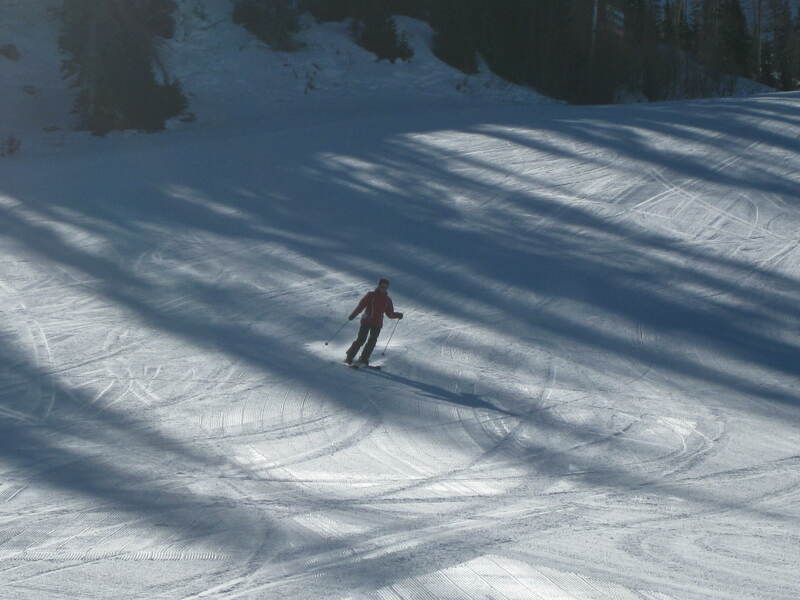 The weather was glorious, and despite it being a holiday weekend, the resort was extremely quiet (by European standards, anyway) – other than on the Saturday we had many of the slopes almost entirely to ourselves. I’ve uploaded a few more photos to Flickr, so if by any chance you would like to see more please take a look! 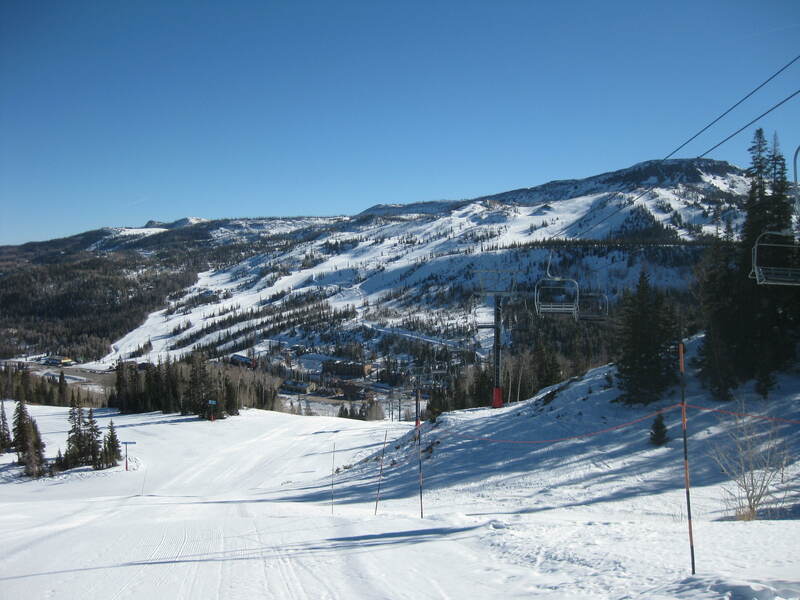 This entry was posted in Holidays, Travel and tagged Brian Head, driving, skiing, Utah by Emma Davidson. Bookmark the permalink.